Fuel your soul with Dance & Music! The Swingers Dance Inc proudly presents Inspirations! 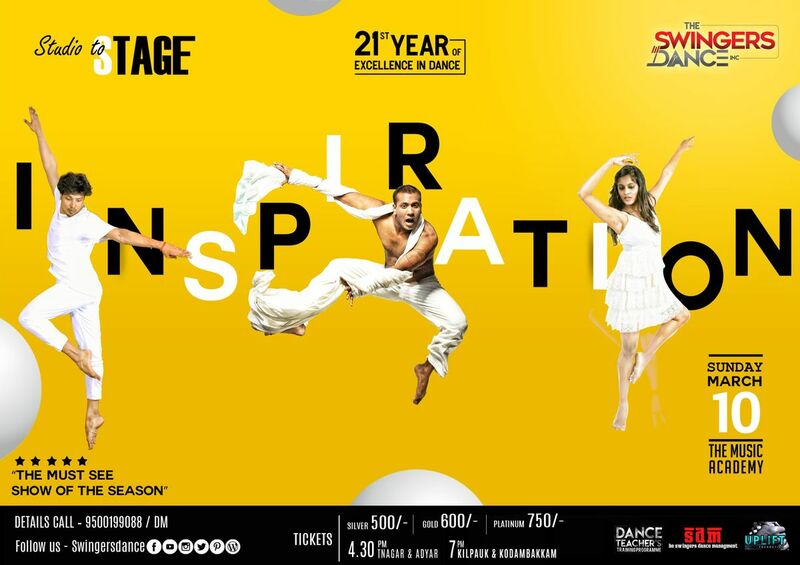 Watch our dancers going extreme, Show that never failed to stun the audience every year. Ballroom to Broadways, Hip-Hop to Jazz, Jive to Salsa and Classical ballet to Contemporary. 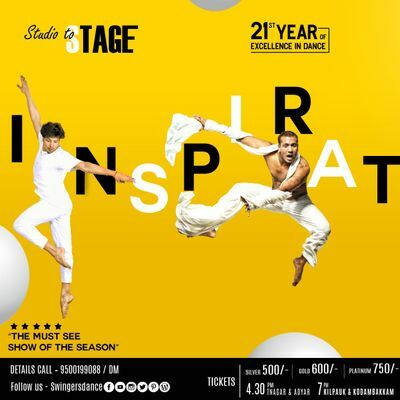 The Swingers Dance Inc. will be yet again conducting their glamorous and Extravagant Students Show – “INSPIRATIONS – Art of Dance” – Raise your hands and Let’s get loud. Amazing dancing, mind-blowing sets, freaky dance moves and glitzy costumes, The Swingers are ready to take it to another level at this year’s Dance Performance. This will be a perfect showcase of all their students from the various branches, showcasing their talents and expertise in many dance styles. This year it is even bigger since it is our 21th year! A Premium “Thalaiva” Collection in 92 Yellow Gold Jewelry.